Discover new music, movies, TV shows, books and people. Guess what one of the most reliable sources for finding cool new stuff is? That’s right, other like-minded people. 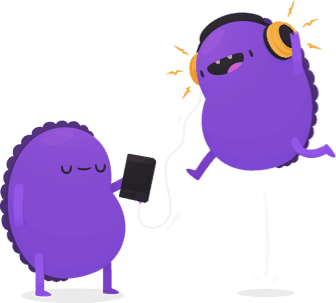 We’re all over this – that’s why we created Affinity “discover” to unearth awesome new music, movies, TV shows and books found by people like you. As you use Affinity we’ll ask you questions about movies, music, TV shows and books. 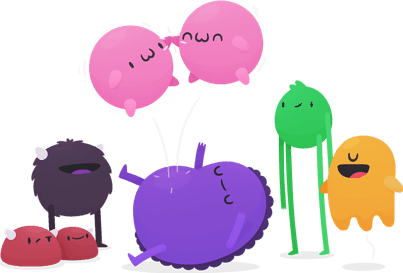 The answers to those questions are shared with other people with whom you have a high Affinity Score with. Similarly, you’ll see how other people are answering as well. Music is such a personal and important part of most of our lives. Get music recommendations from like-minded people to fill your playlists with amazing new tracks. It’s difficult to keep up with all the new shows dropping on all the new streaming services. Get personalized recommendations about what to watch from like-minded people. Books connect us to other worlds and help the culture grow. However, reading a book is an investment of time. Invest wisely with recommendations from like-minded people. All the studies say it. Happiness is determined by the quality of the friendships we have. Weirdly though, most of us just rely on random chance hoping we’ll find “our people”. The old wing and prayer strategy. That’s why we’ve combined our love of psychology and data science to try and crack this wide open. 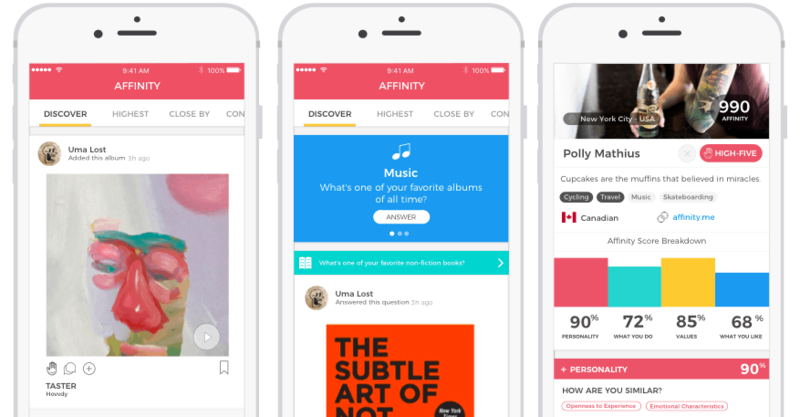 We invented Affinity Discovery to make it easy for people to find and connect with other like-minded people through their love of music, movies, TV shows and books. Using fancy psychometrics and machine learning, we create you a one-in-a-trillion profile and use it as a map to identify other people like you. We create an Affinity score between you and every other Affinity user. We’ll then show you in detail about how you are similar and different. If you both want to connect with each other, we’ll unlock the ability to chat in real-time so you can get to know each other. See the most like-minded people to you. The research says that the more the more similar in personality, values and interests the more likely you are to bond. 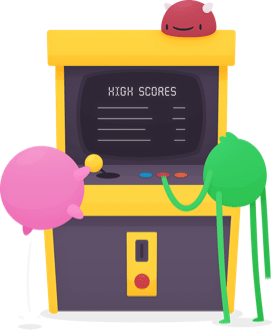 Affinity uses this evidence-based approach and combines it with machine learning to generate something we call “Affinity Scores”. These scores are made up of 20 dimensions that cover personality, values, what you do and what you like. The more questions you answer and the more you interact on Affinity, the more accurate your Affinity Scores become. Get a deeper understanding of your existing friendships to find out how you can make your friendship even better. With Affinity profiles, you’ll be able to see how you’re similar and different to other people, including your existing friends! The more you interact on Affinity, the more accurate your Affinity Scores get. It’s easy to get started with Affinity on iOS & Android.